Coralie participated at Alpin ski World Cup in Giant category and is one of the top 20 mondial. 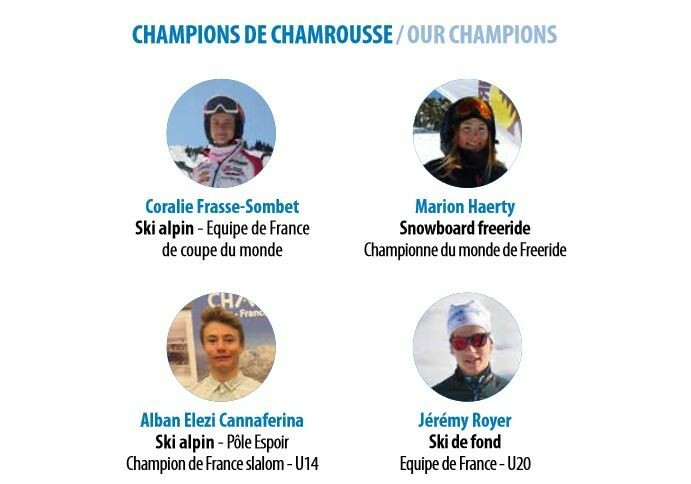 Alban is graduate of Chamrousse Ski Club from 6years old and 1st of general of France championships. Captivate about ski since her childhood, Eleonora grew up and learnhow to ski in Chamrousse, where she began to ski with the Ski Club. Jérémy is part of Nordic ski club Belledonne-Chamrousse (SNBC). He's actually nordic skier in France Team U20. Two top athele but also Trainers of Nordic ski club Belledonne-Chamrousse (SNBC).